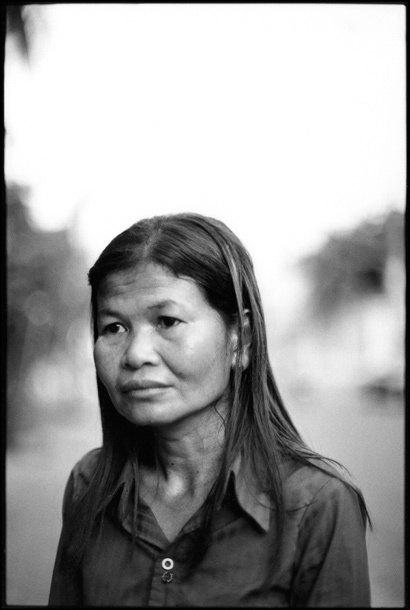 Nuk Nimny was born in 1972, in Cambodia’s Banteay Meanchey province, where her father and two sisters were killed during the revolution of the Khmer Rouge. An estimated 1.5 million people were executed or died of disease or starvation due to the brutal policies of Pol Pot, who headed the government from 1975 to 1979. When this photograph was taken, Nimny had just been part of a victims advocacy group at the first Cambodian war-crimes tribunal.